Bella Kirkwood had it all—A-list friends, Broadway in her backyard, Daddy’s credit card. Then her father decided to trade in her mother for a newer model. After that, her mom fell in love with a man she met on the Internet and moved the family to Truman, Oklahoma. To a farm no less! But that’s just the beginning of Bella’s problems. Her semi-pro-wrestler stepdad signs up the family for a reality TV show. As if having a camera crew follow her around isn’t bad enough, Bella discovers a conspiracy against the Truman High prom queen candidates. And that’s before the arrival of the Fritz Family Carnival with its creepy clown. Bella is one skinny-mocha frappe away from a total meltdown. 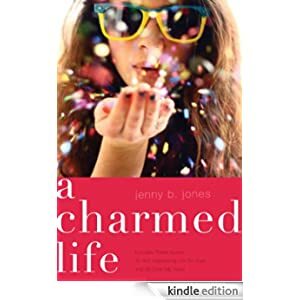 How can a girl go on when her charmed life is gone and God appears to be giving her the total smack down? Buy this inspirational novel for teens for just $1.99 today.